This article is about the history of academic Jesus research. For discussion of the historical evidence of his existence, see Historical Jesus and Historicity of Jesus. For portraits of his life, see Portraits of the historical Jesus. For the book by Albert Schweitzer, see The Quest of the Historical Jesus. The quest for the historical Jesus refers to academic efforts to provide an historical portrait of Jesus. Since the 18th century, three scholarly quests for the historical Jesus have taken place, each with distinct characteristics and based on different research criteria, which were often developed during each specific phase. These quests are distinguished from earlier approaches because they rely on the historical method to study biblical narratives. While textual analysis of biblical sources had taken place for centuries, these quests introduced new methods and specific techniques to establish the historical validity of their conclusions. The enthusiasm shown during the first quest diminished after Albert Schweitzer's critique of 1906 in which he pointed out various shortcomings in the approaches used at the time. The second quest began in 1953 and introduced a number of new techniques, but reached a plateau in the 1970s. In the 1980s a number of scholars gradually began to introduce new research ideas, initiating a third quest characterized by the latest research approaches. While there is widespread scholarly agreement on the existence of Jesus, and a basic consensus on the general outline of his life, the portraits of Jesus constructed in the quests have often differed from each other, and from the image portrayed in the gospel accounts. There are overlapping attributes among the portraits, and while pairs of scholars may agree on some attributes, those same scholars may differ on other attributes, and there is no single portrait of the historical Jesus that satisfies most scholars. 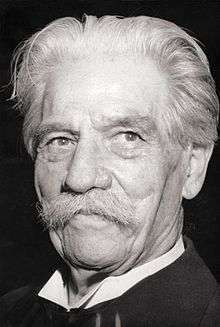 Albert Schweitzer, whose book The Quest of the Historical Jesus coined the term. As the Enlightenment ended, various scholars in Europe began to go beyond textual analysis and the development of gospel harmonies and began to produce biographies of Jesus typically referred to as Lives of Jesus. These biographies attempted to apply some historical techniques to a harmonized version of the gospel accounts, and produced new overviews of the life of Jesus. These attempts at constructing a biography of Jesus came to be known as the first "quest for the historical Jesus", a term effectively coined by Albert Schweitzer's book which was originally titled "The Quest of the Historical Jesus: A Critical Study of Its Progress from Reimarus to Wrede". By late 19th century, hundreds of Lives of Jesus were written. Some of these were purely sensational: They were not produced because any new data had appeared, but because some people read and interpreted the gospels in new ways. These stories of the Lives of Jesus were often romanticized, highly psychological or included new elements which did not appear in any of the gospels or other historical documents. For example, Ernest Renan used the incident where Jesus rides a donkey during his Triumphal entry into Jerusalem to build a story in which Jesus the carpenter was a gentle prophet who had a donkey in Galilee and rode it while traveling between its different towns. Mark Powell states that the production of these Lives of Jesus were typically driven by three elements: 1. the imposition of a grand scheme (e.g. Jesus as a reformer) which dictated the theme of the work and in terms of which the gospels were interpreted; 2. the exclusion of those parts of the gospel accounts that did not fit in the scheme; 3. the addition of new material which did not appear in any of the gospels to fill in the gaps in the story. Andreas J. Köstenberger states that in many cases these stories portrayed Jesus "like the questers themselves" rather than a first-century Jewish figure. The underlying theme used by the authors of the various Lives of Jesus during the first quest varied. In some cases it aimed to praise Christianity, in other cases to attack it. One of the earliest notable publications in the field was by Hermann Reimarus (1694-1768) who portrayed Jesus as a less than successful political figure who assumed his destiny was to place God as the king of Israel. Reimarus wrote a treatise which rejected miracles and accused the Bible authors of fraud, but he did not publish this. Later, Gotthold Lessing (1729 – 1781) posthumously published Reimarus' thesis. Baron d'Holbach (1723-1789) who had no interest in recovering a historical Jesus but to criticize religion wrote "Ecce Homo -The History of Jesus of Nazareth" and published it anonymously in Amsterdam in 1769. The book was translated into English by George Houston, and published in 1799 and then 1813, for which Houston (who confessed himself to be the author) was condemned for blasphemy to two years in prison. Ernest Renan whose book was one of the most popular 19th century Lives of Jesus. David Strauss (1808–1874), at the age of 27 years, pioneered the search for the "Historical Jesus" by rejecting all supernatural events as mythical elaborations. His 1835 work, Life of Jesus, was one of the first and most influential systematic analyses of the life story of Jesus, aiming to base it on unbiased historical research. Strauss viewed the miraculous accounts of Jesus' life in the gospels in terms of myths which had arisen as a result of the community's imagination as it retold stories and represented natural events as miracles. Albert Schweitzer wrote in The Quest of the Historical Jesus (1906; 1910) that Strauss's arguments "filled in the death-certificates of a whole series of explanations which, at first sight, have all the air of being alive, but are not really so." He adds that there are two broad periods of academic research in the quest for the historical Jesus, namely, "the period before David Strauss and the period after David Strauss." Among the works that appeared after Strauss, Ernest Renan's book Vie de Jesus, which combined scholarship with sentimental and novelistic psychological interpretation, was very successful and had eight re-printings in three months. Renan merged gospel narratives with his own psychological interpretations, e.g. that Jesus preached a "sweet theology of love" in Galilee but turned into a revolutionary once he encountered the establishment in Jerusalem. Johannes Weiss (1863 - 1914) and William Wrede (1859–1906) brought the eschatological aspects of the ministry of Jesus to the attention of the academic world. Both Weiss and Wrede were passionately anti-liberal and their presentations aimed to emphasize the unusual nature of the ministry and teachings of Jesus. Wrede wrote on the Messianic Secret theme in the Gospel of Mark and argued that it was a method used by early Christians to explain Jesus not claiming himself as the Messiah. Albert Kalthoff (1850 – 1906), in the chapter "Was There An Historical Jesus?" of his 1904 work, How Christianity arose. New contributions to the Christ-problem (published in English 1907 as The rise of Christianity) wrote, "A Son of God, Lord of the World, born of a virgin, and rising again after death, and the son of a small builder with revolutionary notions, are two totally different beings. If one was the historical Jesus, the other certainly was not. The real question of the historicity of Jesus is not merely whether there ever was a Jesus among the numerous claimants of a Messiahship in Judea, but whether we are to recognise the historical character of this Jesus in the Gospels, and whether he is to be regarded as the founder of Christianity." Albert Schweitzer (1875–1965), a historian of theology, presented an important critical review of the history of the search for Jesus's life in The Quest of the Historical Jesus – From Reimarus to Wrede (1906, first edition), denouncing the subjectivity of the various writers who injected their own preferences in Jesus's character. There is one chapter (Ch. 10) on the Two-source hypothesis of Christian Hermann Weisse and the Wilke hypothesis of Christian Gottlob Wilke and three chapters to David Strauss (Ch. 7, 8, and 9), and a full chapter to Bruno Bauer (Ch. 11). Bruno Bauer (1809–1882) was the first academic theologian to affirm the non-historicity of Jesus. However his scholarship was buried by German academia, and he remained a pariah, until Albert Kalthoff rescued his works from neglect and obscurity. Schweitzer highly praised Bauer's early work, prior to his later period work and conclusion regarding the ahistoricty of Jesus. A direct challenge to the first quest was The Christ Myth, first published in 1909 by Arthur Drews on the Christ myth theory and the denial of the existence of a historical Jesus. Drews, by amplifying and publicizing the thesis initially advanced by Bruno Bauer, rose to international prominence from the resulting international controversy provoked by his book. In 1912, S. J. Case noted that within the last decade, doubts about Jesus existence had been advanced in several quarters, but nowhere so insistently as in Germany where the skeptical movement had become a regular propaganda, "Its foremost champion is Arthur Drews, professor of philosophy in Karlsruhe Technical High School. Since the appearance of his Christusmythe in 1909 the subject has been kept before the public by means of debates held in various places, particularly at some important university centers such as Jena, Marburg, Giessen, Leipzig, Berlin." Ch. 22, (p. 451–499), "The New Denial of the Historicity of Jesus" (Die Neueste Bestreitung der Geschichtlichkeit Jesu) analyzes Drews's thesis, plus eight writers in support of Drews's thesis about the non-existence of Jesus: J. M. Robertson, Peter Jensen, Andrzej Niemojewski, Christian Paul Fuhrmann, W.B. Smith, Thomas Whittaker, G.J.P.J. Bolland, Samuel Lublinski. Three of them favor mythic-astral explanations. Ch. 23 (p. 500–560), "The Debate About the Historicity of Jesus" (Die Diskussion über die Geschichtlichkeit Jesu), reviews the publications of 40 theologians/scholars in response to Drews, and mentions the participants in the Feb. 1910 public debate. Most of the publications are critical and negative. Schweitzer continues his systematic exposure of the problems and difficulties in the theories of the Bestreiter ("challengers') and Verneiner ("deniers") — the Dutch Radicals, J. M. Robertson, W. B. Smith and Drews – and the authenticity of Paul's epistles and Paul's historicity as well. Schweitzer himself also argued that all the 19th century presentations of Jesus had either minimized or neglected the apocalyptic message of Jesus, and he developed his own version of the profile of Jesus in the Jewish apocalyptic context. Schweitzer then became convinced that the search for a historical Jesus was futile, abandoned biblical scholarship and went to Africa as a medical missionary. Schweitzer's work was preceded by Martin Kähler's book The So-Called Historical Jesus and the Historic Biblical Christ which was published in 1896. Kähler argued that it was not possible to separate the Jesus of history from the Christ of faith and that in any case the key goal of biblical analysis should be to better understand the Christ of faith who had influenced history. Kähler's work appealed to both conservatives and liberals and its combined effect with Schweitzer's book effectively ended the first quest. Rudolf Bultmann believed that what matters is that Jesus lived and was crucified, not what happened during his life. Schweitzer's 1906 critique undermined the previous attempts in historical Jesus research, and is often seen as the start of a period of "no quest" lasting until Ernst Käsemann's 1953 lecture which started the second quest. Ben Witherington states that at the end of the first quest, historical Jesus research was assumed to be dead, although that did not turn out to be the case. Some scholars such as Paul Zahl argue that the last two paragraphs of Schweitzer's book aptly summarize the end of the first quest, Schweitzer stating "Jesus of Nazareth will not suffer himself to be modernized as an historical figure... He comes to us as One unknown". Zahl likens the first quest to the Scott expedition to Antarctica, and states that the first quest ended as a total disaster, slowing down academic efforts to pursue research into the historical Jesus. However, other scholars such as Stanley Porter or Dale Allison disagree with that assessment, or the separation in terms of these phases. Stanley Porter states that Schweitzer's critique only ended the "romanticized and overly psychologized" studies into the life of Jesus, and other research continued. Dale Allison states that other research did take place during the so-called no quest phase, and the progress was continuous in that every year except 1919 a new academic book on Jesus was published. Maurice Casey states that although it may at first appear reasonable to call this a period of "no quest" that characterization is not accurate and in this period significant other progress was made, e.g. B. H. Streeter's work on Markan priority and Q source which affected future research. A key figure in the relatively quiet period from 1906 to 1953 was Rudolf Bultmann, who was skeptical regarding the relevance and necessity of historical Jesus research and argued that the only thing we can or need to know about Jesus is the "thatness" (German: Dass) of his existence, and very little else. Bultmann argued that all that matters is the "thatness", not the "whatess" in that only that Jesus existed, preached and died by crucifixion matters, not what happened throughout his life. Bultmann was also a supporter of the study of the oral traditions that transmitted the gospels. Bultmann believed that only a few scattered facts could be known about Jesus, and although a few things could be known about Jesus such a search was pointless for all that matters is following "the call of Jesus" which can only be known through an existential encounter with the word of God. Bultmann argued that the earliest Christian literature showed little interest in specific locations and that the study of Jesus through historical analysis was not only impossible, but unnecessary. However, in the end Bultmann did not totally close the door on historical research and by 1948 suggested the possibility of further investigation. The criterion of embarrassment developed during the second quest was applied to the Baptism of Jesus. While the exact date for the start of the first or third quest may be questioned, the beginning of the second quest has a well known time and location, namely Ernst Käsemann's October 20, 1953 lecture titled "The Problem of the Historical Jesus", delivered to an annual gathering of alumni from the University of Marburg who, like Käsemann, has studied with Rudolf Bultmann. Käsemann's lecture marked a departure from the teachings of his former professor Bultmann who emphasized theology and in 1926 had argued that historical Jesus research was both futile and unnecessary; although Bultmann slightly modified that position in a later book. Käsemann advanced the position that although the gospels may be interpreted for theological purposes, they still contain historical memories which can yield information about Jesus. This perspective effectively began what was then known as the "New Quest" and later came to be called the second quest for the historical Jesus. Most of the scholars involved in the second quest were either German or trained by Germans. Käsemann's perspective that it is possible to know something about Jesus if the tools of historical analysis are applied in a systematic manner proved highly consequential, and inspired a number of scholars to develop new approaches to the study of the historical Jesus. One of the influential works that followed his approach was Günther Bornkamm's 1956 book Jesus of Nazareth and his well known statement that "what the Gospels report concerning the message, the deeds and the history of Jesus is still distinguished by an authenticity... these features point us directly to the earthly figure of Jesus" provided momentum for the second quest in the 1960s. James M. Robinson's 1959 book A New Quest for the Historical Jesus was reprinted numerous times, indicating the high level of interest in the subject during the 1960s. In order to analyze biblical passages, Käsemann introduced the criterion of dissimilarity, that compares a gospel passage (e.g. a statement by Jesus) to the Jewish context of the time, and if dissimilar, places weight on its being on safe ground. During the second quest the criterion of embarrassment was also introduced. This criterion states that a group is unlikely to invent a story that would be embarrassing to themselves. 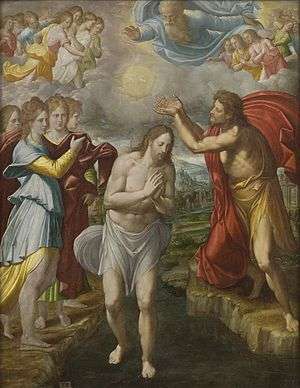 For instance, this criterion argues that the early Christian Church would have never wanted to invent the kernel of the story about the Baptism of Jesus because John baptised for the remission of sins, and Jesus was viewed as without sin, hence the story served no purpose, and would have been an embarrassment given that it positioned John above Jesus. While the baptism of Jesus itself may be a historical event, the presence of the dove and the voice from Heaven may be later embellishments to the original happening. 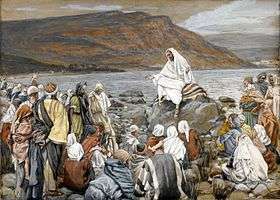 Marcello Craveri's "Life of Jesus" in 1967, based on the Dead Sea Scrolls, argued that the claims to divinity made by the historical Jesus were strictly limited and not unusual for a Jew of that generation. Much of the stronger claims, and the emphasis on the redeeming power of Christ's death on the Cross, could be seen as reworkings by St. Paul, who was probably influenced strongly by the Graeco-Roman traditions. By the early 1970s the initial momentum of the second quest had all but disappeared. A number of scholars, attribute the end of this quest to the diminishing role of Bultmann's ideas, Ben Witherington stating: "as the towering influence of Bultmann and the enthusiasm for existentialism began to wane, so did the enthusiasm for the Second Quest". Geza Vermes states: "Owing to the colossal influence of Bultmann on German, and subsequently through his former students on North American, New Testament learning, the clock of real historical research stopped for half a century" and that it started again only after that influence had ended. Paul Zahl states that while the second quest made significant contributions at the time, its results are now mostly forgotten, although not disproven. The second Quest reached a plateau in the 1970s and by the 1980s a third Quest had started and gained a formal following. Unlike the second Quest, the third Quest had no well defined beginning and emerged as a number of scholars presented new approaches within a relatively short time of each other. In 1992 N. T. Wright coined the term "third Quest" to refer to these new approaches. The criterion of historical plausibility was introduced in 1997. This principle analyzes the plausibility of an event in terms of components such as contextual plausibility and consequential plausibility, i.e. the historical context needs to be suitable, as well as the consequences. In recent research, the criterion of plausibility has found favor among scholars over the criterion of dissimilarity, and accounts that fit the historical context are viewed as more likely to be valid. The criterion of rejection and execution was developed in 1985. It is quite different from other criteria and does not directly point to an individual saying or act of Jesus as authentic, but focuses attention on the fact that Jesus was rejected by the Jews and executed by the Romans and then asks what words and deeds would fit into this scenario. John P. Meier states that this criterion draws attention that a Jesus who did not challenge the authorities of his time would have been unlikely to have been crucified, and thus helps evaluate the sayings of Jesus in that context. The criterion of congruence (also called cumulative circumstantial evidence) is a special case of the older criterion of coherence. The criterion of coherence, also called the criterion of consistency and conformity, looks back at what has already been established as historical, and tests if a new hypothesis is consistent and coherent with what is already known. Thus this criterion is not simply applied to ancient texts as a star but looks back at the results of modern analysis and considers its coherence and consistency. The criterion of congruence lends support to a hypothesis if observations from other data suggest similar conclusions. A number of other proposed criteria are viewed as dubious and unreliable by third quest scholars. These include the presence of traces of Aramaic proposed by J. Jeremias which evaluates a biblical saying based on the presence of possibly Aramaic vocabulary or grammar; and the similar criterion of the Palestinian environment which considers a saying authentic if it fits in the Palestinian setting of Jesus' time. The criterion of the vividness of narration suggested that a saying expressed in more vivid language than the rest of the surrounding text, it may be an eyewitness declaration; but the criterion is generally rejected by scholars. A new characteristic of the modern aspects of the third quest has been the role of archeology and James Charlesworth states that few modern scholars now want to overlook the archaeological discoveries that clarify the nature of life in Galilee and Judea during the time of Jesus. A further characteristic of the third quest has been its interdisciplinary and global nature of the scholarship. While the first two quests were mostly by European Protestant theologians, the third quest has seen an worldwide influx of scholars from multiple disciplines, e.g. Jewish scholars involved in historical Jesus research have contributed their detailed knowledge of Second Temple Judaism as the backdrop for the third quest. There are now "as many portraits of the historical Jesus as there are scholarly painters"
While there is widespread scholarly agreement on the existence of Jesus as a historical figure, the portraits of Jesus constructed during the three quests have often differed from each other, and from the image portrayed in the gospel accounts. Amy-Jill Levine states that despite the differing portraits, there is a general scholarly consensus on the basic outline of Jesus' life in that most scholars agree that Jesus was baptized by John the Baptist, debated Jewish authorities on the subject of God, performed some healings, taught in parables, gathered followers, and was crucified by Roman prefect Pontius Pilate. The many differences of emphasis among mainstream interpretations in the third quest may be grouped together based on a number of primary interpretations of Jesus as variously an apocalyptic prophet, charismatic healer, Cynic philosopher, Jewish Messiah or prophet of social change. But there is little scholarly agreement on a single interpretation of his life, or the methods needed to construct it. There are, however, overlapping attributes among the accounts and pairs of scholars which may differ on some attributes may agree on others. These groupings reflect the essential feature of each portraits and the accounts often include overlapping elements, for example there are a number of scholars, including Crossan and Wright, who are otherwise critical of each other but whose interpretations agree that Jesus was not "primarily apocalyptic" but still believe that Jesus preached such a message, while others (e.g. Borg and Mack) differ on that issue. The third quest has thus witnessed a fragmentation of the scholarly interpretations in which no unified picture of Jesus can be attained at all. In his 1906 book The Quest of the Historical Jesus, Albert Schweitzer noted the similarities of the portraits to the scholars who construct them, and stated that they are often "pale reflections of the researchers" themselves. John Dominic Crossan states that the trend has continued, and summarized the situation by stating that many authors writing about the life of Jesus will "do autobiography and call it biography". Das Leben Jesu. Tubingen, 1901. 417 pp. War Jesus Ekstatiker? (Was Jesus an ecstatic?) Tubingen, 1903. 139 pp. Die Geschichte Jesu. Eriautert. Mit drei Karten von Prot. K. Furrer (Zurich). (The History of Jesus. Preliminary Discussions. With three maps by Prof. K. Furrer of Zurich.) Tubingen, 1904. 414 pp. Die Hauptprobleme der Leben-Jesu-Forschung. (The main Problems in the Study of the Life of Jesus.) Tubingen, 1902. 71 pp. 2nd ed., 1906. Die wichtigsten Fragen im Leben Jesu. (The most important Questions about the Life df Jesus.) Vacation Lectures. Berlin, 1904. 111 pp. Das Urchristentum, seine Schriften und Lehren in geschichtlichem Zusammenhang beschrieben. (Primitive Christianity. Its Documents and Doc- trines in their Historical Context.) 2nd ed. Berlin, 1902. Vol. i., 696 pp. Die Entstehung des Urchristentums. (How Primitive Christianity arose.) Munich, 1905. 255 pp. Das Christus-Problem. Grundlinien zu einer Sozialtheologie. (The Christ-problem. The Ground-plan of a Social Theology.) Leipzig, 1902. Die Entstehung des Christentums. Neue Beiträge zum Christus-problem. (How Christianity arose. New contributions to the Christ-problem.) Leipzig, 1904. 155 pp. Das Christentum des Neuen Testaments. (The Christianity of the New Testament.) 2nd revised edition of "Letters on the Christian Religion." Sachsa-in-the-Harz, 1905. 311 pp. Was lehrte Jesus? Zwei Urevangelien. (What was the teaching of Jesus? Two Primitive Gospels.) Berlin, 1897. 248 pp. 2nd revised and greatly enlarged edition, 1902, 339 pp. Der Irrgang des Lebens Jesu. In geschichtlicher Auifassung dar- gestellt. (The Error of the Life of Jesus. An Historical View.) 1st part, 1884, 395 pp. ; 2nd part, 1885, 302 pp. Jesus von Nazareth. German by A. Just. Leipzig, 1894. 435 pp. La Vie esoterique de Jesus de Nazareth et les origines orientales da christianisme. (The secret Life of Jesus of Nazareth, and the Oriental Origins of Christianity.) Paris, 1902. 1 2 Amy-Jill Levine in The Historical Jesus in Context edited by Amy-Jill Levine et al. Princeton University Press ISBN 978-0-691-00992-6 page 4: "There is a consensus of sorts on a basic outline of Jesus' life. Most scholars agree that Jesus was baptized by John, debated with fellow Jews on how best to live according to God's will, engaged in healings and exorcisms, taught in parables, gathered male and female followers in Galilee, went to Jerusalem, and was crucified by Roman soldiers during the governorship of Pontius Pilate"
↑ Amy-Jill Levine in the The Historical Jesus in Context edited by Amy-Jill Levine et al. 2006 Princeton University Press ISBN 978-0-691-00992-6 pages 1: "no single picture of Jesus has convinced all, or even most scholars"
↑ The Cradle, the Cross, and the Crown: An Introduction to the New Testament by Andreas J. Köstenberger, L. Scott Kellum 2009 ISBN 978-0-8054-4365-3 page 112: "The inevitable result of the first quest was that Jesus looked more like the questers themselves than the first century Jew that Jesus was"
↑ Strauss, David Friedrich (1835). Das leben Jesu: Kritisch bearbeitet. C.F. Osiander. ↑ Weaver, Walter P. (1 July 1999). The Historical Jesus in the Twentieth Century: 1900-1950. A&C Black. p. 69. ISBN 978-1-56338-280-2. Case [Shirley Jackson Case] then provided some of the history of the problem, noting the contributions of the French in Charles Dupuis and Constantin Volney (end of eighteenth century), Karl Bahrdt and Karl Venturini in Germany, Charles Hennell in England, as well as the influence of D. F. Strauss and Bruno Bauer. He then listed the main opponents in Germany (Arthur Drews, Albert Kalthoff, Peter Jensen, Samuel Lublinski), in England (J. M. Robertson, G. R. S. Mead, Thomas Whittaker), in Holland (Gerardus J. P. J. Bolland), in France (Charles Virolleaud), Italy (Emilio Bossi), Poland (Andrzej Niemojewski), and America (W. B. Smith). ↑ Barnes, Harry Elmer (1929). The Twilight of Christianity. New York: Vanguard Press. pp. 390–391. Among the more eminent scholars and critics who have contended that Jesus was not an actual historical figure we mention Bruno Bauer, Kaithoff, Drews, Stendel, Felder, Deye, Jensen, Lublinski, Bolland, Van der Berg, Virolleaud, Couchoud, Massey, Bossi, Niemojewski, Brandes, Robertson, Mead, Whittaker, Carpenter and W. B. Smith. ↑ Peter Christian Albrecht Jensen (1910). Hat der Jesus der Evangelien wirklich gelebt? : eine Antwort an Jülicher. Frankfurt am Main: Neuer Frankfurter Verlag. ↑ Fuhrmann, Christian Paul (1911). Der Astralmythos von Christus: Die Lösung der Christussage durch Astrologie. Mit 1 Sternkarte und 1 Sternskizze (in German). Brandstetter. ↑ Ehrman, Bart D. (20 March 2012). Did Jesus Exist? : The Historical Argument for Jesus of Nazareth. HarperCollins. pp. 11–. ISBN 978-0-06-208994-6. I agree with Schweitzer’s overarching view, that Jesus is best understood as a Jewish prophet who anticipated a cataclysmic break in history in the very near future, when God would destroy the forces of evil to bring in his own kingdom here on earth. ↑ Boyd, Gregory A. (1995). Cynic Sage or Son of God: Recovering the Real Jesus in an Age of Revisionist Replies. Wheaton, IL: Victor Books/SP Publications. p. 37. ISBN 1-56476-448-6. ↑ Jesus of Nazareth by Gunther Bornkamm 1960, Harper NY ISBN 080062887X page 24: "what the Gospels report concerning the message, the deeds and the history of Jesus is still distinguished by an authenticity, a freshness and a distinctiveness not in any way effaced by the Church's Easter faith. These features point us directly to the earthly figure of Jesus"